Despite its small official age, the enterprise is proud of the glorious history of the UEIP subdivisions on the basis of which it was formed: the Spare Parts Plant (facility 68) and the Experimental Production of Gas Centrifuges of the Experimental Separation Production workshop (workshop 20). 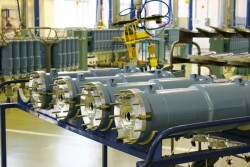 The date of establishment of the Limited Liability Company “Ural Gas Centrifuge Plant” is May 30, 2007. However, employees celebrate the birthday of their plant on August 15. It was on this day – in 2007, more than a thousand employees of the Urals electrochemical combine, were officially transferred to the staff of the new enterprise. 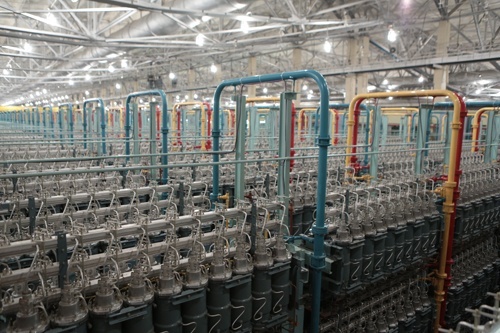 The modern plant, created on the basis of the latest technologies in the field of nuclear engineering, is young and promising, with ambitious plans for the future, the Urals plant of gas centrifuges, following its progenitor – the Ural Electrochemical Combine, is today the pride of Novouralsk. It is also part of Novouralsk’s powerful production structure, which was created during the restructuring of the nuclear industry, a nuclear technological cluster. At the industrial site of the Urals Electrochemical Plant, the construction of an electromechanical plant (in the future, the Spare Parts Plant), focused on the manufacture of equipment and spare parts for the Minatom separation facility, as well as capital and repair repairs of electrical equipment. At the plant the site for manufacturing stators for gas centrifuges was launched, the production volume of which was up to 80 thousand pieces per year. After a huge amount of work to substantiate the need, financial and economic layouts, research and development, UEIP launched the production of pilot batches of gas centrifuge units (pilot production of the GC of shop 20). For the first time the issue of creating such a production was raised by the management of UEIP at a meeting at the Ministry of Atomic Energy on the problems of the development of separative industries in January 1999. At the same time, in 2005, at the level of the Federal Atomic Energy Agency, a decision was made to design and build on the UEIP industrial site the pilot production of serial and advanced gas centrifuges. Two years later, on April 5, 2007, the order of the head of the Federal Atomic Energy Agency announced the creation of the Limited Liability Company “Ural Gas Centrifuge Plant” on the basis of UEIP subdivisions. On May 30, 2007, the Urals Gas Centrifuge Plant was officially registered. The founders of the company were the Urals Electrochemical Combine and the Techsnabexport. Since 2009, the founder of UZGTS is the Engineering Center “Russian Gas Centrifuge”. Today, the Urals plant of gas centrifuges is part of the fuel company of Rosatom “TVEL”. On August 15, 2007 the collective of “UGCMP” started to work at the new enterprise. Time it was a real test: the plant was in full swing reconstruction of former production areas UEIP. It used to happen that not far from the turner working on the machine, the excavator was dug under the future foundation. Production at the plant did not stop for a minute. The UGCMP development strategy was developed on the basis of the company’s plans to enter the design capacity and was approved by the UGCMP Board of Directors in 2007. In accordance with it, the tasks assigned to the plant were solved: technical and technological training, reducing labor input, increasing output, lowering the cost of production, recruiting and training staff. In 2009, the assembly and adjustment of the entire complex of equipment for mass production was completed. Since 2011, the plant has started to operate in the serial production of gas centrifuges. This year became for the collective of the plant the starting point for the development and strengthening of the enterprise. In 2012 UGCMP became a mono-plant, specializing in one type of product – gas centrifuge. Since early 2013, the plant has started the production of the ninth generation of centrifuges. Since 2014, the Urals plant of gas centrifuges has been developing a direction – general industrial activity. 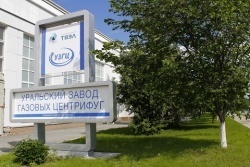 In 2015, a new milestone in the history of the enterprise begins: the management of Fuel Company TVEL decided to establish a research and production association (NGO) based on the capacities of the “Urals Plant of Gas Centrifuges”, “Novouralsk Scientific and Design Center”, “Uralpribor “, “OKB-Nizhny Novgorod” and “Centrotech-SPb “.